My thanks to Cityluxe for providing the ink for review and giveaway. Olivine is a dark green with a yellow undertone. Dark yellow-green is definitely my kind of green. It shades quite nicely even in my European fine nib. It goes from a deep dark green to a muted green-yellow. 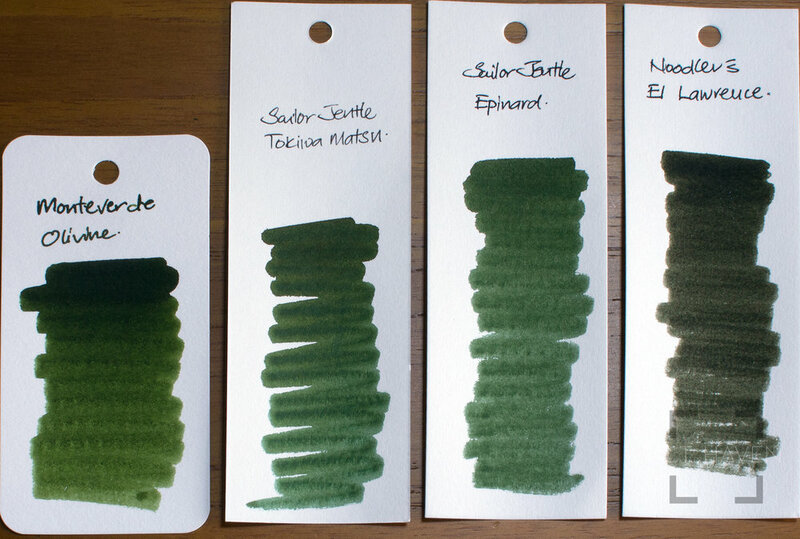 Like most other Monteverde inks, it’s rather lubricated. This is definitely my favourite Monteverde ink so far. Drop me a comment below to stand a chance to win a 30ml bottle of Monteverde Olivine. This giveaway ends 18th January 2018, it is open to all residing in Singapore. The winner will have 1 week to claim their prize.